NEXUS 6 :: Friday June 19th :: Guest DJ c-los! DJs Sprite and Licious bring you the best in modern industrial dance tracks for Neo’s longest-running special Friday event. Gremlin’s out setting the lake on fire this month, so c-los! will be joining us on the decks. We’ll have rented sound this month, so prepare for the oontz to blow your combat boots off! 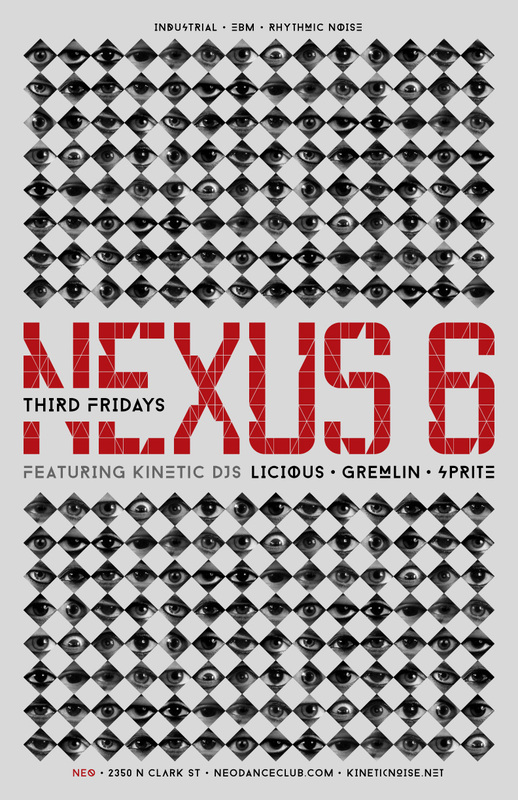 Nexus 6 is the the 3rd Friday of every month. Brought to you by the Kinetic Noise Crew. ~ by infomorph on June 16, 2015.